Explanation: Using the orbiting Chandra X-ray Observatory, astronomers have taken this long look at the core of our Milky Way galaxy, some 26,000 light-years away. The spectacular false-color view spans about 130 light-years. 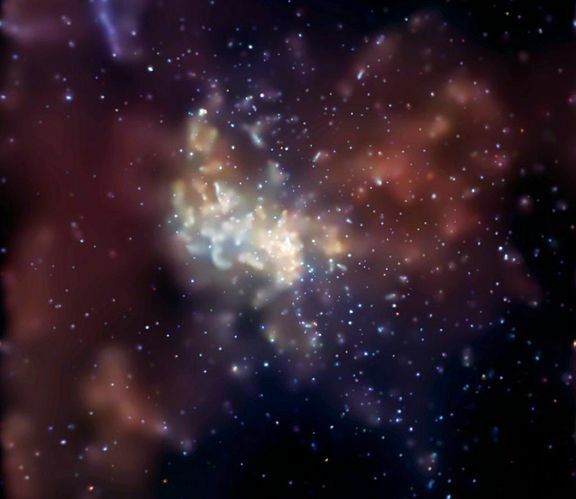 It reveals an energetic region rich in x-ray sources and high-lighted by the central source, Sagittarius A*, known to be a supermassive black hole with 3 million times the mass of the Sun. 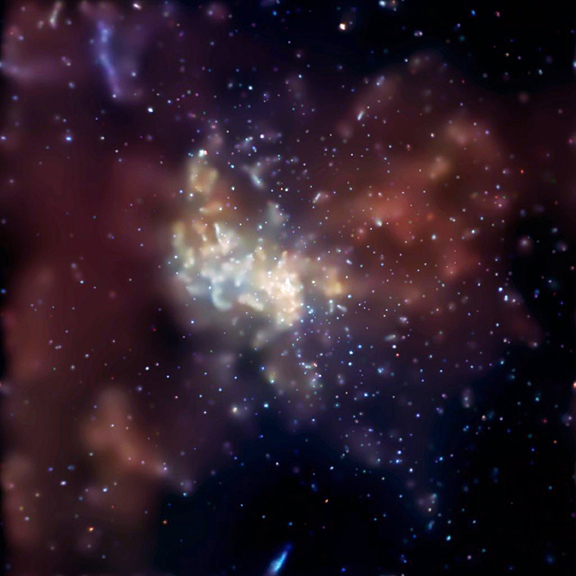 Given its tremendous mass, Sagittarius A* is amazingly faint in x-rays in comparison to central black holes observed in distant galaxies, even during its frequent x-ray flares. This suggests that this supermassive black hole has been starved by a lack of infalling material. In fact, the sharp Chandra image shows clouds of multi-million degree gas dozens of light-years across flanking (upper right and lower left) the central region -- evidence that violent events have cleared much material from the vicinity of the black hole.